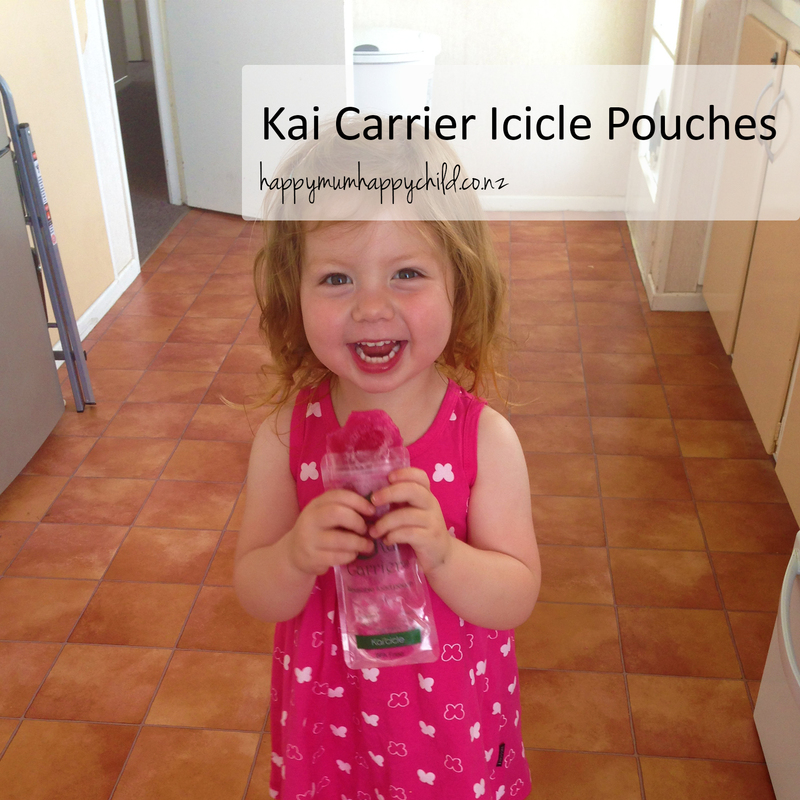 These icicle pouches can be used for homemade ice blocks, ice creams or just to fill with snacks for your child. 100% reusable. NO SPILLS! Bloody brilliant idea if you ask me!! I went on a hunt immediately to find a great ice block recipe (one that was easy and didn’t require me to think) and found this Jelly Ice Block one. Check it out! My daughter helped me make the ice block mix up, and I (of course) poured it into the pouch. Then when the afternoon came around, it was total excitement to try it out. To get the ice block out was relatively easy, although I did have to use the bench to help push it out, but that may be because I’m weak from no exercise HAHA. My daughter didn’t eat all of it either, and because you can re-seal it, I simply popped it back in the freezer for the next day. Also, just in case you’re wondering, the pouches are BPA, PVC and Phthalate free, dishwasher safe, freezable (duh) and microwavable. I clearly got that info from their website, but it is important to know. A pack of 5 is only $5.50, so it’s a total bargain. If you want to order some, click HERE to visit August Boutique.